Experience the rush of excitement that cannot be experienced by any other type of diving: the challenge of discovering and exploring sunken vessels, including ships, planes and cars. 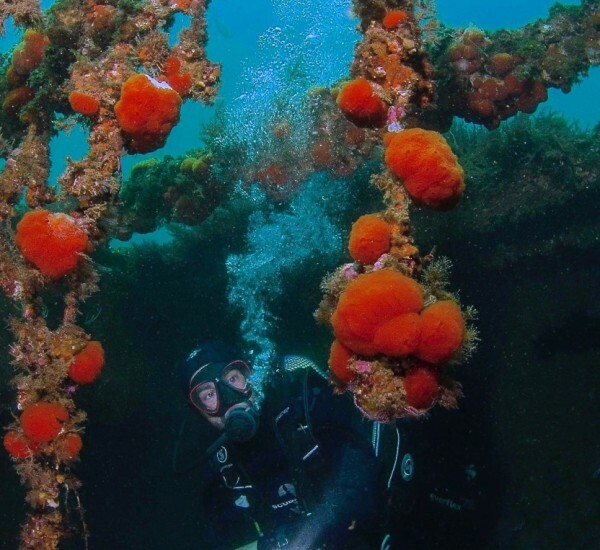 Take your Wreck Diver Specialty with Simply Diving and you’ll dive at the wrecks of the Tower in Marbella and the famous shipwrecks of Camp Bay in Gibraltar. Whether sunk intentionally or tragically, the call of wrecks is nearly irresistible to most divers. Through the PADI Wreck Diver Specialty course, you get the skills, knowledge and procedures you need to answer the call of wreck diving. With Simply Diving Spain you can take this course among the many and spectacular wrecks, new and old, surrounding the marine life-rich waters of Gibraltar. Special equipment needed to safely dive a wreck. The all-important and detailed planning. Organisation and standard procedures of wreck diving. Must be a PADI Adventure Diver (or have qualifying certification from another organisation) and be at least 15 years old. Number of Dives: Four dives over two days.